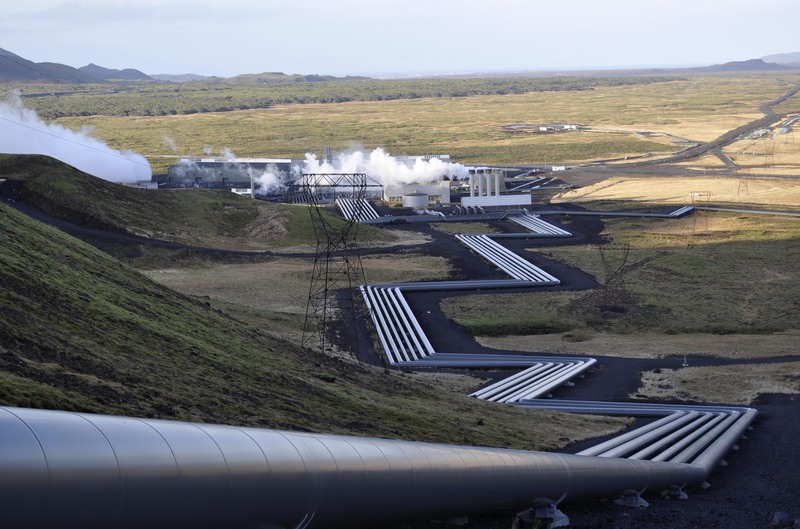 Hellisheiði Power Station is experimenting with methods to inject by-product fluids from the geothermal process, cool water and CO2 (separator water), back into the ground by means of boreholes. This closed loop system would ensure that contaminants do not escape into the atmosphere and habitable landscape. 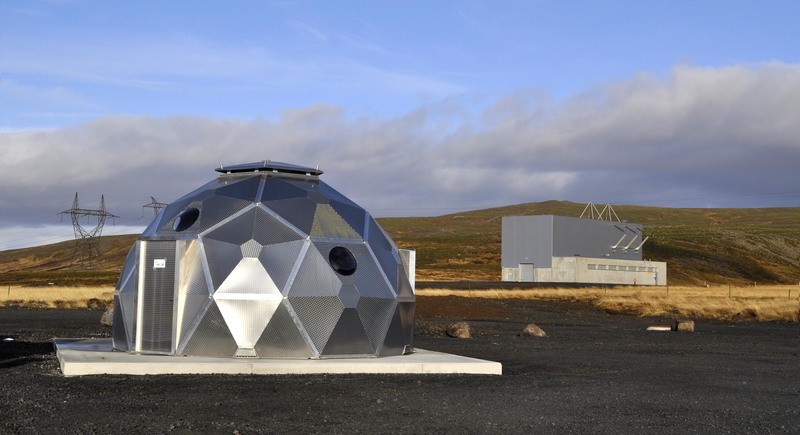 This idea sounds incredible; ZERO carbon emissions in the harnessing of geothermal energy! At the Hellisheiði Power Station all of the quirks have yet to be worked out in this ideal cyclical process. Initially, the plan put forth by the power station was to drain the by-product water ¼ of a mile underground into the water table and let “the powerful ground water current” carry it out to sea. The municipality was not keen on this idea as “the people consider the groundwater a natural resource for future use”. The decision was then made to inject the by-product water back down into the geothermal boreholes. 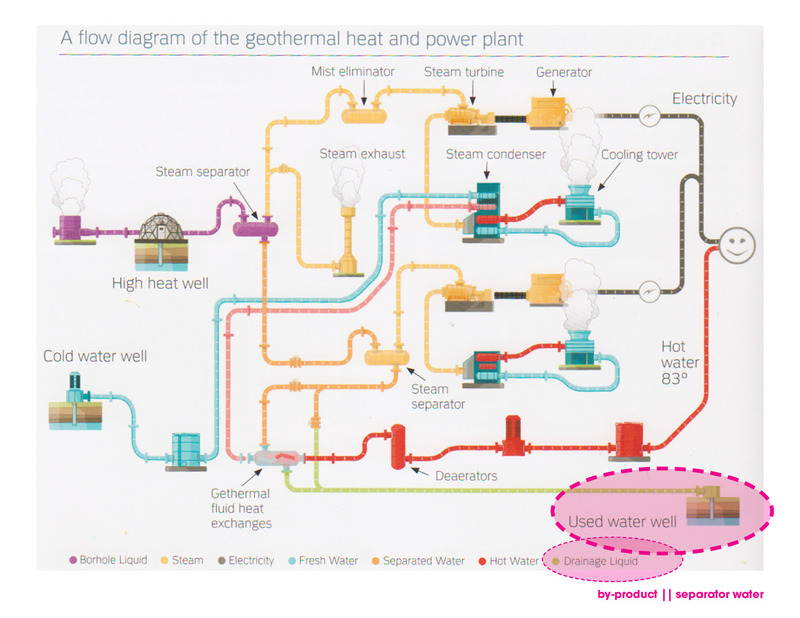 As the book, Geothermal Utilisation in Iceland, published by the Reykjavík Energy Authority states, “Draining geothermal water is quite complicated. The largest problem is the risk of silica deposits clogging both pipes and boreholes.” It was also explained to me that once boreholes have been dug, fissures and cracks emanate from the hole. The pressure of water being inserted back into this hole can exacerbate these cracks and fissures and potentially cause earthquakes. 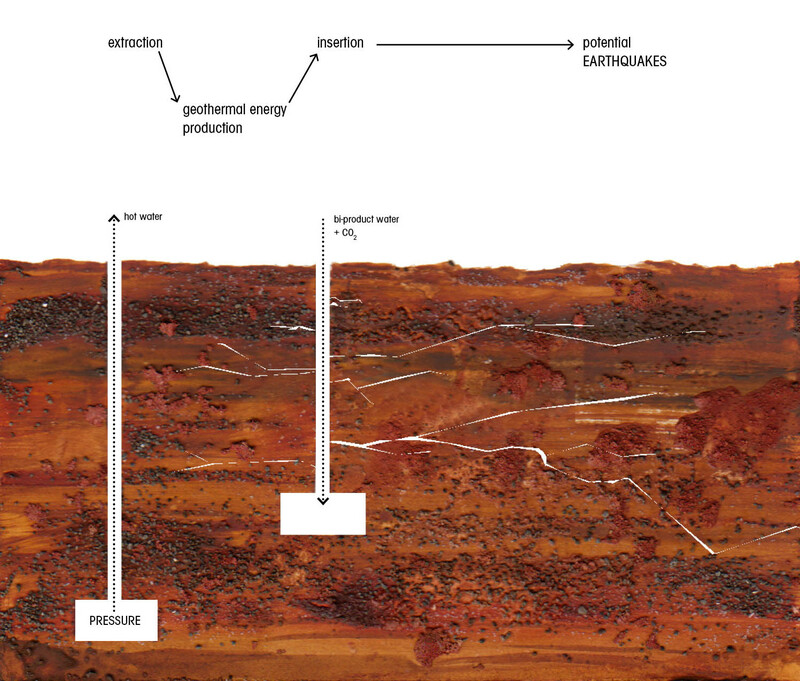 Experimentation with reinserting the geothermal by-product into the depths of the earth, where it initially came from, is still underway. Unfortunately, this experimentation has resulted in EARTHQUAKES in the neighboring town of Hveragerði. A major problem with not speaking or reading Icelandic is the difficultly in staying up to date on current issues. This is a current issue! While I am unable to read the newspaper articles, I heard from two sources (one academic, one in the field of landscape architecture) that Hveragerði has recently endured earthquakes as a result of experimentation at the Hellisheiði Power Station, and community members are upset and beginning to lose patience. To cause earthquakes that affect a town of 2,300 people is no small matter. This entry was posted in Hveragerði and tagged borehole, earthquake, energy extraction, geothermal, geothermal energy, Hveragerði, power station by kellyreed. Bookmark the permalink. Gee! I thought geothermal was so clean. I didn’t realize there were these side effects. I can well imagine the problems involved with mineral build-up in the pipes after seeing all the silica in and around the spas… not to mention the weird color of the run-off water from power plants. Geothermal is very “clean” as far as energy in concerned. I’ll need to do some graphs to show how impressively low the by-products of this system are. However, in working to make the process zero carbon there have been some earth shattering side effects.